Welcome to Basil's Ducks. All Prices are for Male/Female pair of ducks. 2018-2019 Inventory of Birds. 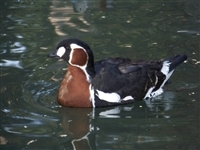 The red breasted goose is an endangered, brightly marked goose which originates from European countries. © Basil's Ducks • All Rights Reserved • Built with Volusion.